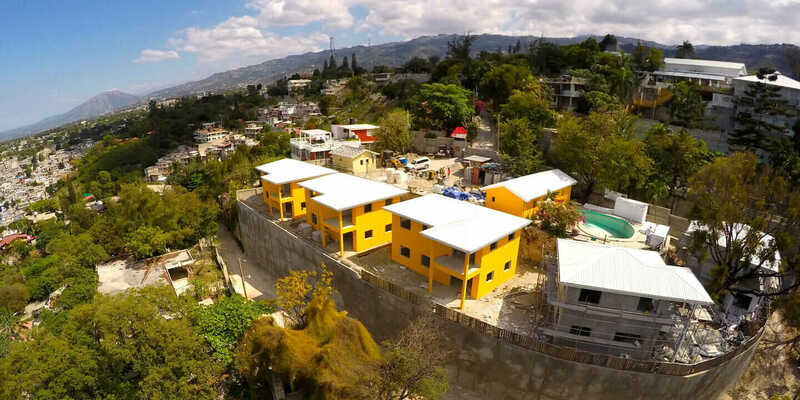 Disaster-resilient housing development in Haiti. Courtesy Veerhouse Voda. 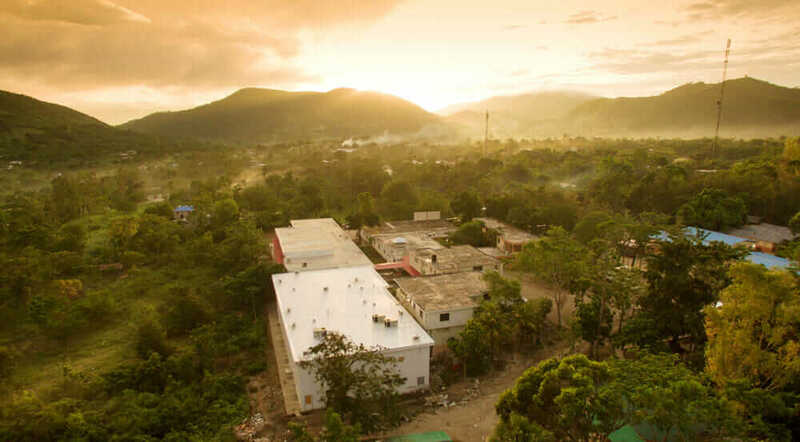 When Brendon Brewster visited Haiti after its devastating 7.0 earthquake in 2010, he was struck by the fact that he could see a building completely flattened like a pancake and, right next to it, a building with hardly a scratch on it. “The reason why is not because the earthquake was stronger on one side of the street than the other side; it really came down to two things: engineering and quality of building materials,” says Brewster, CEO and director of Veerhouse Voda, which aims to construct disaster-resilient buildings in Haiti using fewer materials, less energy, and with faster construction time than traditional methods. 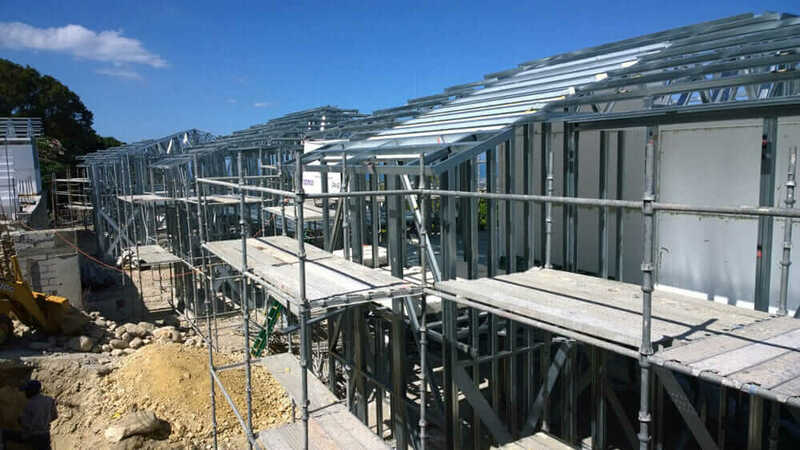 Disaster-resilient buildings under construction in Haiti. Courtesy Veerhouse Voda. While Haiti was still dealing with the aftermath of the 2010 quake, Hurricane Matthew brought further destruction to the island in October 2016. The hurricane left south Haiti “90 percent destroyed,” according to aid officials, along with a growing cholera epidemic. Millions of dollars have been poured into disaster-relief efforts for the difficult interim, but what happens when the next disaster hits? In developing countries such as Haiti, rebuilding is especially challenging because meeting the population’s immediate post-disaster needs—food, potable water, medical supplies, and temporary shelter—takes precedence. Addressing the second wave of basic needs, like building permanent shelter and supplying electricity, requires a longer view of rebuilding the infrastructure. Unfortunately, minimum standards for engineering or quality materials are often sacrificed to build quickly and at a low cost. Veerhouse Voda has undertaken this difficult task of rebuilding with proper engineering, quality building materials, hurricane-resistant building materials, and affordability. Using Autodesk 3ds Max, Revit, and AutoCAD to develop its structures, the company designs and reshapes lightweight steel frames that fit together like LEGOs. Veerhouse Voda started using expanded polystyrene—a recyclable, environmentally friendly type of Styrofoam—as a brace between the steel because it has insulating properties that help regulate the temperature inside. The company also uses a special concrete mortar on the outside of the expanded polystyrene, strengthening the structure further. The materials Brewster and his team use and the designs they create are intended to withstand hurricanes, fires, earthquakes, and floods. The hope is that their efforts will help prevent displacement in future disastrous events, which are expected to be more frequent given the effects of climate change. Aerial view of St. Boniface Hospital. Courtesy Terry Sebastian/BHI. Another key aspect of rebuilding Haiti—with a focus on future resiliency—is to address the medical needs of affected communities, both immediate and long-term. To this end, nonprofits such as Build Health International (BHI) have specifically invested in building quality, sustainable structures to provide accessible health services. Among its other projects in Haiti, BHI has partnered with the St. Boniface Haiti Foundation to repair and expand St. Boniface Hospital, the only general surgery program in the southern peninsula of Haiti. Improvements include a new surgical center, an infectious-disease ward, and a recommissioned community-water project. “If you’re a woman looking for a C-section on the southern peninsula, St. Boniface is the only place you can go to get both guaranteed 24/7 service and get it free or at a very low cost if you need it, which almost all Haitians do,” BHI Founder and CEO Jim Ansara says. St. Boniface Hospital is completely off the grid and uses diesel generators for air conditioning, which costs five times as much as it would per kilowatt hour to operate than in San Francisco or Boston. 10Power founder/CEO Sandra Kwak and Haitian solar partner Fred Brisson of Greentec SA. Courtesy 10Power. In the U.S., numerous power redundancies are built into hospital systems, such as medical gas, HVAC units, fire alarms, and life-safety devices, which run without interruption. But in Haiti, there are redundancies only where patients might die if they failed, which forces BHI to bring in more flexibility in thinking about those crucial systems. For example, instead of having brightly lit spaces around the clock, BHI uses occupancy sensors with LED lighting to minimize energy. For sterilizing equipment, there’s an autoclave that is not as fast as it could be, but it uses less electricity. BHI also uses Revit with InfraWorks 360 to simplify technical documents for its workers, who are mostly Haitians with limited formal education. With a real-world contextual view, the 3D model can demonstrate technical construction details to local trade workers. It can also be used to walk clinical teams through a hospital facility prior to construction so they can understand the design and provide feedback to engineers. 10Power | Clean Growth from 10Power on Vimeo. Although it did not immediately kill more than 100,000 people like the earthquake did, Hurricane Matthew displaced more than 50,000 children and left an estimated 800,000 people in need of food assistance. In addition, it disrupted many farmers’ livelihoods by killing livestock, destroying crops, and wiping out a whole planting season. 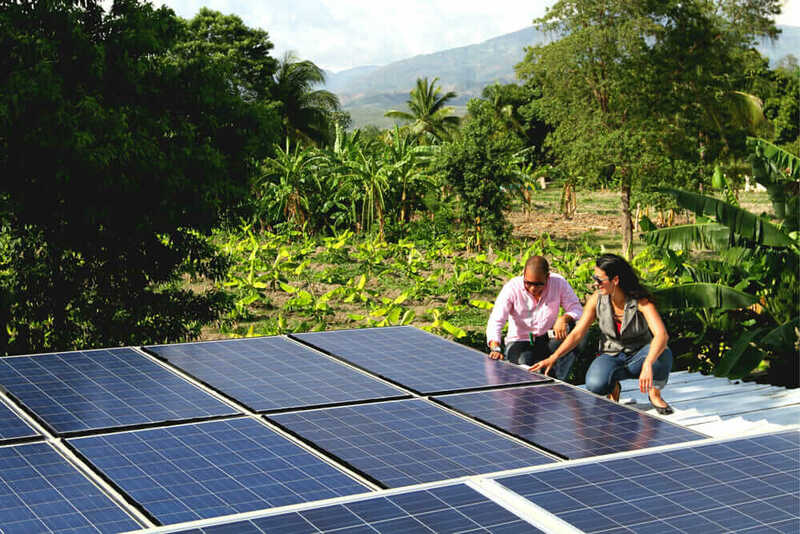 10Power is currently working with SolarCity’s Give Power program and BuildOn to add solar power to the buildings that survived the hurricane; such structures are also serving as temporary shelters for people whose homes were destroyed. It also recently launched #PowerHaitiCoalition, an alliance of local and international partners working together to provide sustainable infrastructure and clean energy in the wake of Hurricane Matthew and beyond. The coalition’s vision is to facilitate investment opportunities that empower communities to build resilience and thrive. Veerhouse Voda, BHI, and 10Power are part of Autodesk’s Sustainability & Foundation programs, chosen for their innovative use of design and engineering to solve the world’s most pressing challenges.